The father-son duo sold cups of the chocolaty beverage for $2 each. Jumbo "Nancy Pelosi" marshmallows were available for an additional 50 cents, while mini-sized "Beto O'Rourke" marshmallows were available free of charge. 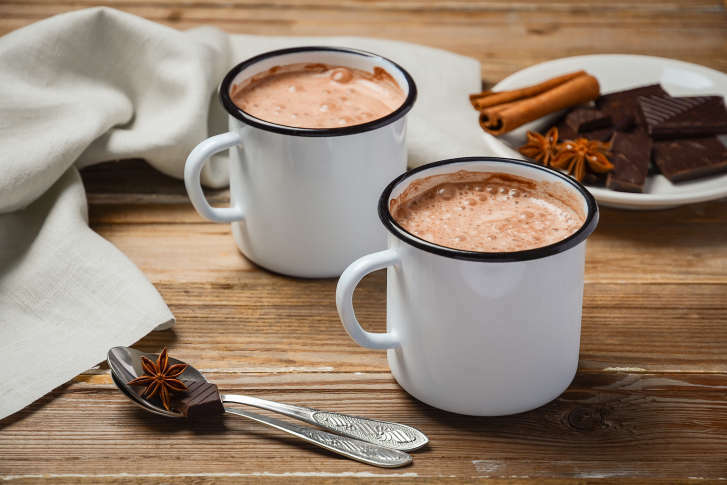 (AUSTIN) — A young Texas boy has raised thousands of dollars to support President Donald Trump’s proposed border wall with his hot chocolate stand. Austin resident Shane Stevens posted a Facebook video of his son, Benton, manning his hot chocolate stand in a parking lot next to a gas station on Saturday afternoon. “So, what are we out here doing?” Stevens asked. The father-son duo sold cups of the chocolaty beverage for $2 each. Jumbo “Nancy Pelosi” marshmallows were available for an additional 50 cents, while mini-sized “Beto O’Rourke” marshmallows were available free of charge. The large sign in front of the stand read, “Proceeds Help Trump Build The Wall” in alternating blue and red coloring. On Monday, more than $2,000 had been raised, partially with the help of the Venmo account Stevens created for those who were not able to make it, he wrote. Stevens reported that the funds had reached about $5,000 by Tuesday, ABC Houston station KTRK-TV reported. Stevens and his wife are both members of the Republican National Committee, they told NBC Austin affiliate KXAN-TV. Benton is 7 years old and was trolled online as a result of the hot chocolate stand, the station reported. Shane Stevens did not immediately respond to ABC News’ request for comment.